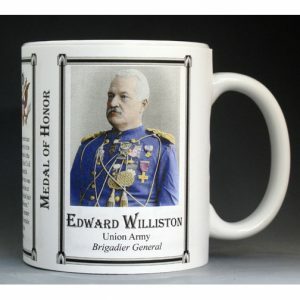 This Sarah Grimké mug is part of our collection of Civil War biographical mugs. 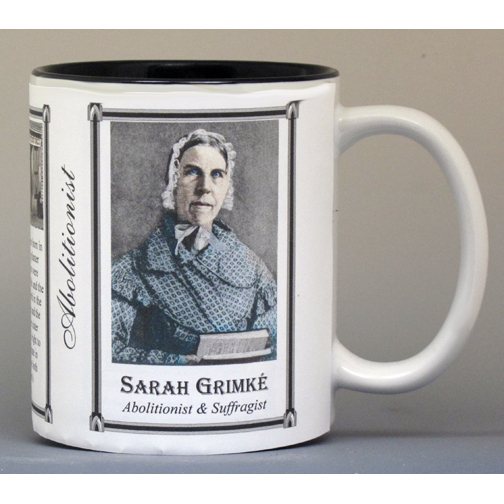 An image of Sarah Grimké and a short biography are features of this history mug. 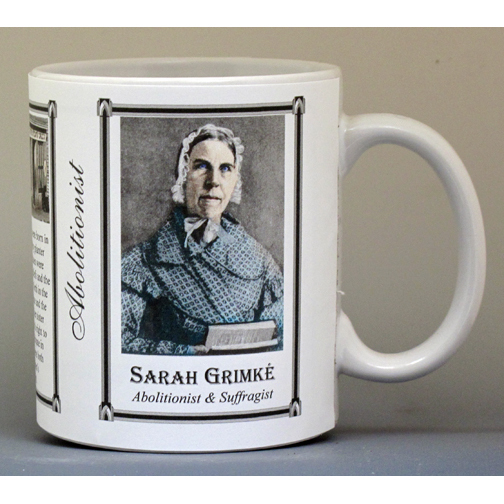 Sarah Grimké & her sister Angelina were the only known white Southern women who supported the abolition movement. 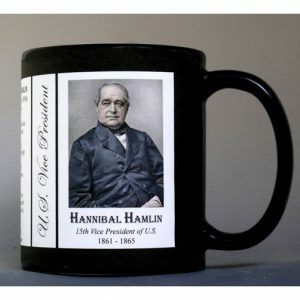 They were born in South Carolina to a wealthy planter family. Sarah’s moral values were drawn from her Christian beliefs and the natural rights theory as set forth in the Declaration of Independence and the Constitution. Sarah and her sister fiercely defended a women’s right to make speeches and participate in political action. They were both members of the women’s suffrage movement. It was in 1868, that Sarah and Angelina discovered their brother, Henry, now deceased, had fathered three sons by his personal slave, Nancy Weston, and welcomed all four of them into their family. 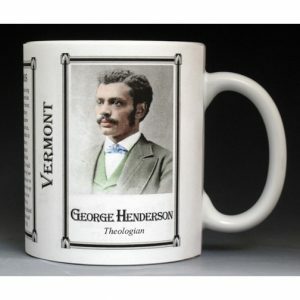 They worked to provide money to educate Archibald Grimké and his brother Francis, who attended Harvard University and became leaders in the African-American community. The third brother, John, dropped out of school and returned to the South to live. 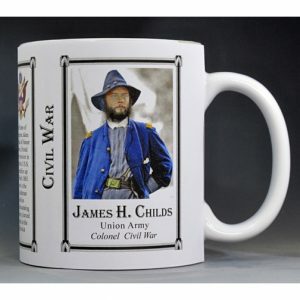 This Sarah Grimké mug is part of our US Civil War series profiling participants in the War Between the States. 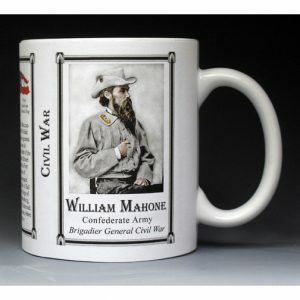 Thousands of Confederate and Union soldiers fought in battles such as Bull Run, Antietam, Fredericksburg, Chancellorsville, Gettysburg, Vicksburg, Chattanooga, Cold Harbor and Petersburg. We honor their sacrifices by telling their stories.